The start of a new year, and I added a few new products to my skincare and colour stash. I couldn't contain my profound need to try this brand's products, Colorpop, welcome to my world. It's impossible to have a haul without it including a cleanser, so, Bravura, cleansing oil jumped into my basket as did the Ginseng Tonic, which has 5% glycolic, high hopes for loving this range and the packaging is divine. I adored items from Deciem itself, loathed the Niod range that came under the main brand's umbrella. So, here's hoping that there is nothing ordinary about The Ordinary skin care choices I have made. 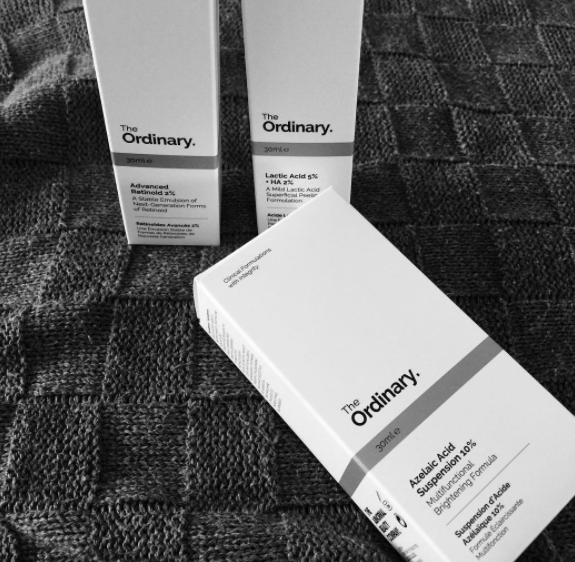 The lactic acid and retinoid I am very keen to start using and fingers crossed this superbly priced range has positive results.